How to Fix DOCX Document? DOCX is the default file extension for documents created on newer versions of Microsoft Word application like 2007 and its later versions. The extension is named DOCX as it is created using open XML format. Although Microsoft Word is considered as the best text editing application for users, but sometimes user face many problems when their DOCX document gets corrupt or damaged. There are several reasons responsible for DOX file corruption including abrupt power failure, file header corruption, application malfunctioning, bad sectors in hard disk, broken download and so on. It is quite simple to repair DOCX document through this manual method, but the only problem is that this method is not always successful. 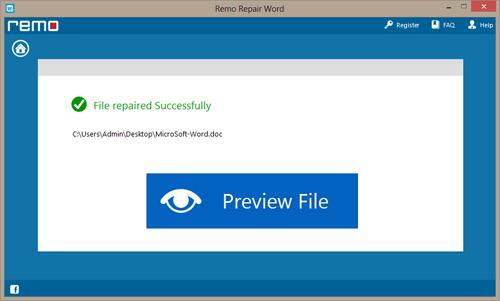 So in case this technique doesn’t repair your corrupt DOCX document, then you need to take the help of proficient utility such as Remo Repair to fix your corrupt DOCX document. To fix a corrupt / damaged DOCX document, first open MS Word application and click “File” and then “Open”. After this, the Word fixes the corrupt document file and opens it. 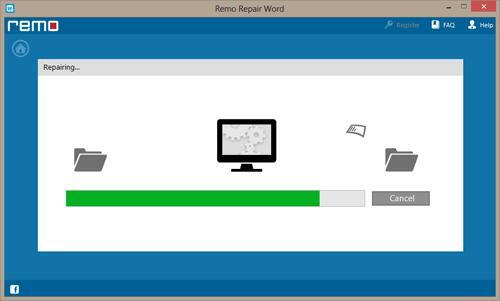 Remo Repair application is packed with advanced algorithms that make DOCX file repair process easier. 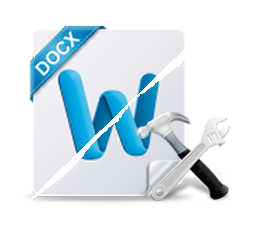 This finest utility to repair DOCX files and resolve major errors related with Word file corruption. The main advantage of using this software is it doesn’t modify the source file during repair process. 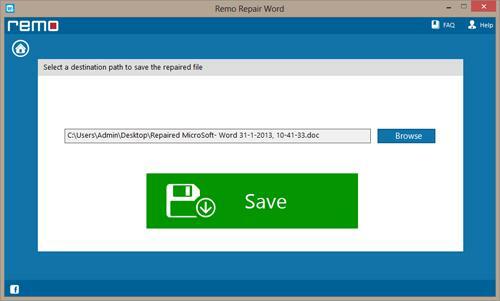 Step 1: Download Remo Repair and install the application to your Windows computer. Open the software and follow the main screen procedure. Click on “Browse” button to select your DOCX file which is to be repaired. After selection, click on “Repair” option to start the repair process. Step 2: As soon as you clicked on repair button the tool starts fixing your DOCX file. You can moniter the repair process through progress screen. Step 3: After completion, the software allows you to preview the repaired DOCX document. Step 4: At last, browse for the destination location to save your repaired DOCX file.